Earth Bombs Mars (aka EBM) combines elements of America's roots musicgenres (rock, jazz, psychedelic, country/bluegrass) to conjure its unique improv-Americana sound. This adventuresome quartet with a penchant for improvisation truly shines in the live context. Rich Whiteley's distinctive voice brings life to his rootsy / ethereal compositions, morphing from plaintive and haunting to swaggering throughout the course of a show. His rhythm guitar work provides textural interplay for lead guitarist John Zias. Rich Whiteley's distinctive voice brings life to his rootsy / ethereal compositions, morphing from plaintive and haunting to swaggering throughout the course of a show. His rhythm guitar work provides textural interplay for lead guitarist John Zias. A soulful, articulate improviser, Zias caught the attention of Grateful Dead bassist Phil Lesh in 2000, who invited the guitarist to San Francisco to rehearse for a possible future collaboration. EBM's mercurial rhythm section features in-demand bassist TJ Glowacki (SW Florida Symphony, Webbed Feet, Tiny Tim), who brings considerable classical and jazz expertise and smoothly shifts the harmonic floor, and drummer/vocalist Dan DeGregory, a musical chameleon whose slinky cymbal work and supple grooves have supported the likes of the late bluesman Rock Bottom, world-beat percussionist Jim Donovan, and rock-n-roll icon Bo Diddley. 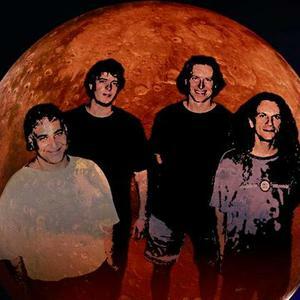 2007's CD release "Earth Bombs Mars" was engineered by Zen Recording's Steve Connelly (Ronny Elliott & the Nationals, The Ditchflowers, Jimmy Griswold). Connelly, who toured with The Byrds' Roger McGuinn, also lends his pedal steel prowess to this release. The eponymous debut CD is EBM's first under the moniker of Earth Bombs Mars, but is not the band's first venture into the studio. ?Radio Wasteland? was released in 2003 as a Rich Whiteley Band CD, and in 2000, Whiteley released his debut ?A Dog or a Bicycle.? An EBM show will typically pull material from all three of these releases, interspersed with carefully chosen covers.